I’m named after my paternal grandmother – Susan Forbes Nicholson Elder. Susan was born on 26 November 1899 at 288 Rosslyn Street, Gallatown, Fife. Her father, Thomas Elder was listed on the birth extract as an Ironmonger’s Assistant; her mother was Anne Kinnell Nicholson. 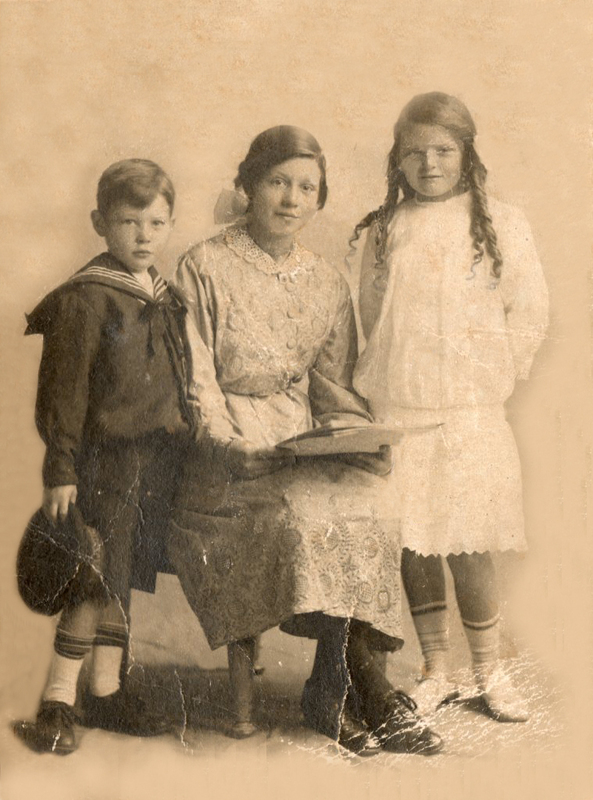 Susan was the first of three children born to Thomas and Anne; the others being Elizabeth Penman Elder ( 1905-75) and William Mackie Elder (1908-70). Anne had also given birth to a son out of wedlock in 1894, Andrew Scott Nicholson. No father is named on Andrew’s birth record, and it seems that, for at least part of his childhood, he lived with his grandmother, Susan Forbes. Thomas and Anne were married in Edinbugh on 18 July 1898. His occupation was given as Ironmonger, hers as Board School Teacher. Witnesses to the wedding were Robert Elder (Thomas’s brother) and Sarah Whyte. I’ve often wondered why they were married in Edinburgh, when both were resident in Dysart, but supposed that it was something to do with Anne having already borne a child. Perhaps Thomas’ parents were unimpressed by their new daughter in-law?